February | 2011 | Always On! You have now entered Part IV this ongoing journal – tracking the personal, sociological and historic milestones associated with the rapidly growing service/game/application. Check my archives for Chapters I, II and III. 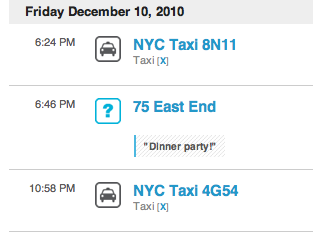 On Saturday, I checked into NYC Taxi 6H89 and found that it was already in the foursquare database – entered manually by a regular (not super) user. This surprised me as I’m used to frantically entering the number of the taxi and classifying the location as transportation and then taxi… before reaching my destination and figuring out my payment method and tip. Are we reaching some kind of critical foursquare taxi mass? 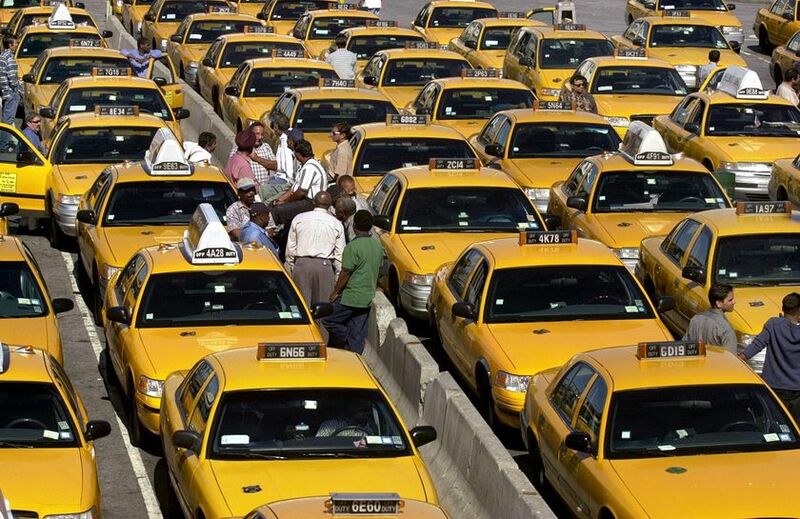 Or was this simply a very neat coincidence – particularly since I don’t take many taxis and there are more than 13,000 yellow taxis in New York City. In either case, an interesting milestone. This week, foursquare obtained $20 million in funding, and Dennis Crowley “checked in” at the World Cup in South Africa. Nice. To write the taxi paragraph above, I had to go to my online profile to get the taxi number. I noticed that there is a history of all my check-ins that dates back to April 26th, 2010. Going back to when I first joined in January or February, I have a total of 1099 check-ins! I think I may be an oversharer (yes, I have the badge), but, hey, that’s how I roll. That said, I find this history to be a valuable tool to keep track of time spent on different client engagements, e.g., time on-site and to get a sense of average transportation time for specific trips, e.g., Upper West Side to Tribeca and West 74th to Central Park Tennis Courts. Remember when all those management consultants tried to get people to keep journals to measure productivity. Now we do it for fun. Foursquare reached the 2 million user mark this week. I noted that a lot of people had checked into the Great Lawn on Tuesday night. Was there a free concert, I wondered. This week, the NYC foursquare community created Heatpacolypse (all of last week!) and Rainpacolypse (Tuesday the 13th). I experienced and checked into both. A fun way to share the extremities of the local weather. 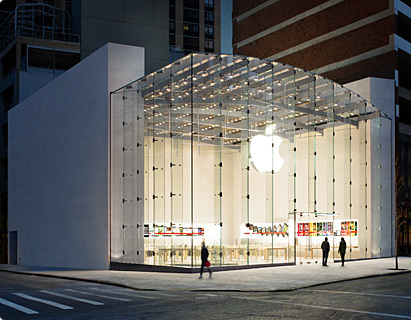 I’ve just checked into the Apple store on the upper west side. As the 13th person here, I seem to have pushed it over the fence to a trending location. It seems to trend a lot lately, though I remember not too too long ago that I was the only or one of just two or three people who had checked in here. Another location that seems to trend a lot lately is the AMC Movie Theater. There is a strong correlation between the numerical reading on the weather channel site and the number of people checked in at the highly air conditioned movie theater… Quite a popular venue over the course of the last few scorching weeks here in NYC. After weeks of checking in at the Central Park Tennis Center, it dawned on me that that is a perfect venue for foursquare. Lately, I find myself hanging out on warm weekend days looking for open courts and potential tennis partners. Foursquare could not be more appropriate. The only problem is that I am almost always the only one checked in there. This weekend, I did spy a second player. I immediately invited him to be my foursquare friend. Stay tuned to see whether we ever cross rackets on the court. Duane Reade, the NYC chain of drug stores, has asked to follow me on foursquare (and be my friend on Facebook). Personally, I found this request a little creepy… but I am tempted to accept the invite to get a sense of what they plan to do as my foursquare friend. I suspect they want to know when I’m in their store. Forrester released a report last week stating that 4% of U.S. online adults have used a Location Based Social Network (LBSN), with “only” 1% using them more than once a week. However… of the several million folks who are using LBSNs: 70% have four-year college or graduate degrees, the average age is 32, the average annual household income just over $100,000, and 78% are male. So… does that mean I’m behaving like a 32 year old well-educated early-adopter… guy? That may explain my social life. Well re: TJ, that’s one express stop or a 25 minute walk – not to mention being awfully close to the Central Park tennis courts. This opens up all kinds of possibilities, as Loehmann’s does not carry any linen, towels, etc. Very exciting. My mother will be proud. 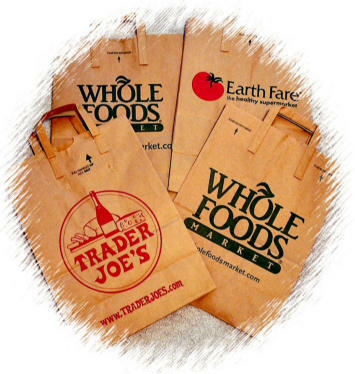 It looks like the Trader Joe’s on the Upper West Side is now open. I noticed 12 people checked in while I was getting a slice of mushroom pizza at Freddie & Pepper’s. In the meantime – once I reconnect to it on my iphone as well, that is – I’ve developing a strong affinity for GetGlue, a non location based version of foursquare – for people who stay home. Users check into entertainment activities such as a tv show, a movie or a book. It’s a really neat way to make personal experiences social while maintaining a level of intimacy. I am back in the square. Turns out I couldn’t live without it. I need foursquare to look back on my day and remember where I went and what I did. I know that the upper west side is pretty crazy the night before Thanksgiving. Cars backed up outside my window with mellifluous honking of horns. Children being taken aside and reprimanded on every street corner. Lines of people waiting for cupcakes at the Crumb’s bake shop next to the Equinox. And so on. I know that the balloons that are blown up next to the Museum of Natural History are quite a draw. Personally, I’ve never had the patience or fortitude to wait in line to see them… nonetheless, I guess I knew there must be decent numbers of people who were, but when I turned on foursquare tonight, I saw that 342 people were checked in at the Macy’s Parade Balloon Inflation venue. That’s crazy! Now that I am recording the license # of each taxi I take, I feel a new kind of peace of mind, knowing that if I leave a pair of gloves in the cab, I would know which cab it was – even without a receipt. I think this new sense of calm has contributed to the fact that I have not inadvertently left anything in a taxi in the last year. Last weekend, I was working on a small project – around 5 hours. On Sunday afternoon, I took a break to play tennis – it had been scheduled in advance. I had been exchanging emails and work product with my client over the weekend and told him that the next iteration would come in the late afternoon or early evening. As I prepared to leave the courts, I realized that my client, who follows me on foursquare, would have access to how I was spending my day – would he mind that I took three hours off to play tennis? Oh well. I should say that foursquare is soooooo slow, it can be extraordinarily frustrating. What is the balance between foursquare and AT&T as the cause of this frustration? Dunno. I continue to think that GetGlue has a lot of potential, particularly as those in the television space (content providers, etc.) become more aware of it. Great opportunity for advertisers to encourage people to check into and/or comment on their ads. Great opportunity for book publishers as well. Potential tie in/partnership with shelfari. Keep your eyes on this one. Back to foursquare: I have become increasingly reliant on foursquare for tracking my hours on freelance projects. Great tool!